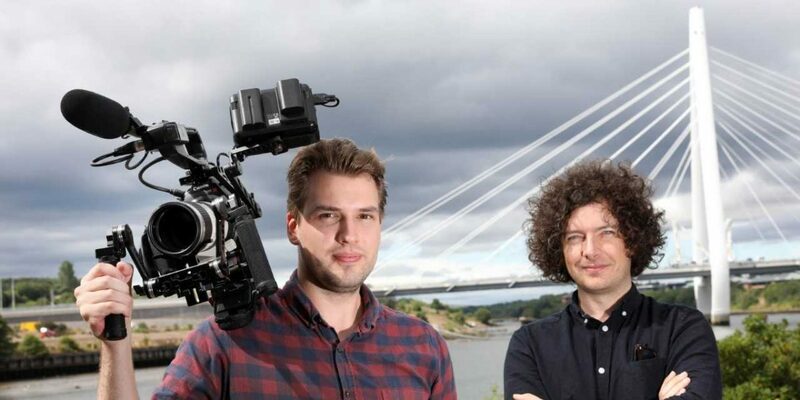 A growing video production company is celebrating an expansion and new contract wins. Digital Union member, Second Draft – which received widespread acclaim for producing the official film for Sunderland’s 2021 City of Culture bid – has moved into office space at the North East Business and Innovation Centre (BIC) in Sunderland. The two-year-old business, which was supported with its business growth by Sunderland City Council, have also won contracts with Invest North East England and the North East Local Enterprise Partnership. And the expansion and contract wins are both hugely significant for Second Draft according to the firm’s co-founders Mark Bell and Glen Colledge. Mark said: “After building various strong relationships in Sunderland, we wanted to stay in the area and continue to work with the city’s business talent and showcase what’s great about Sunderland and the wider North East region. “And the move to the BIC presents us with new opportunities to collaborate due to the variety of businesses it has on-site and the regular networking events it hosts. Speaking on the contract wins and the rise of video marketing, Glen added: “As filmmakers, our eternal goal is to share things that we find interesting or inspiring, and in both of these projects we get to find new creative and exciting ways to showcase what makes the North East special. “Our goal with every film is to help our clients make meaningful connections with their audience to reflect their passion and to help people understand the emotion that drives them so we can tell their unique story. Councillor Graeme Miller, leader of Sunderland City Council, commented: “Second Draft is a great business, and the video they made for our City of Culture bid is testimony to how passionate they are about Sunderland. “Moving to the BIC has proved to be the perfect business environment for them to network with fellow businesses in the city and grow even further. Second Draft say both projects will be delivered in October. After building various strong relationships in Sunderland, we wanted to stay in the area and continue to work with the city’s business talent and showcase what’s great about Sunderland and the wider North East region.